Another SQL Blog - Jason Yousef: Run a VBscript using SQL Server. Today I came across a question in EE of how to run a VBscript using SQL server. 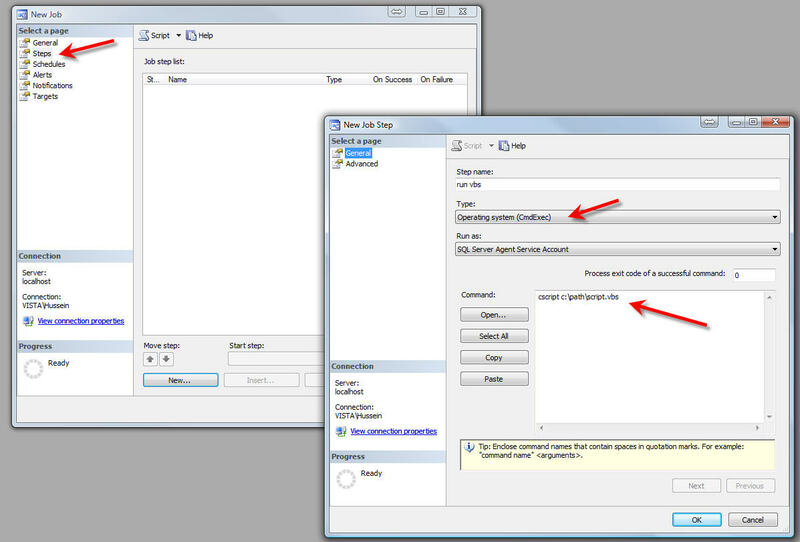 Well, it could be done using the SQL server agent or using SSIS, but the easiest way would be the SQL agent. 1-Right click on "SQL Server Agent" and select "New Job"
2-Name the job according to your needs. 3-From the "Steps" , select New. 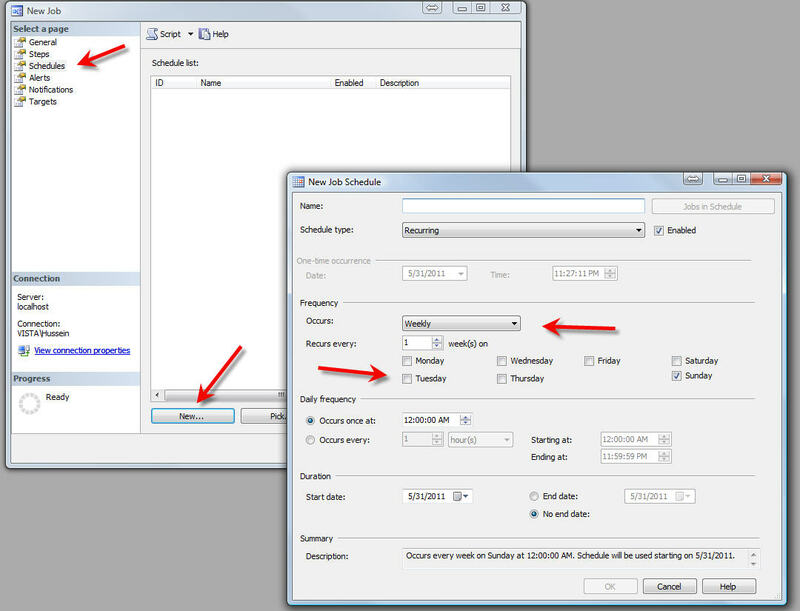 4-Name it to your needs and select the "Type" as "Operating System CmdExec" as shown in the screenshot. 4-Set the schedule as desired and that's it!! I wish it were that easy. What if SQL Server Agent doesn't have sufficient privileges to run the vbscript file? I can't get it to run at all.